Iceland's Mannveira and the mysterious Ellorsith team up for this brand new 27 minute split. Each band contributes two new tracks and it's ONLY available on black vinyl. 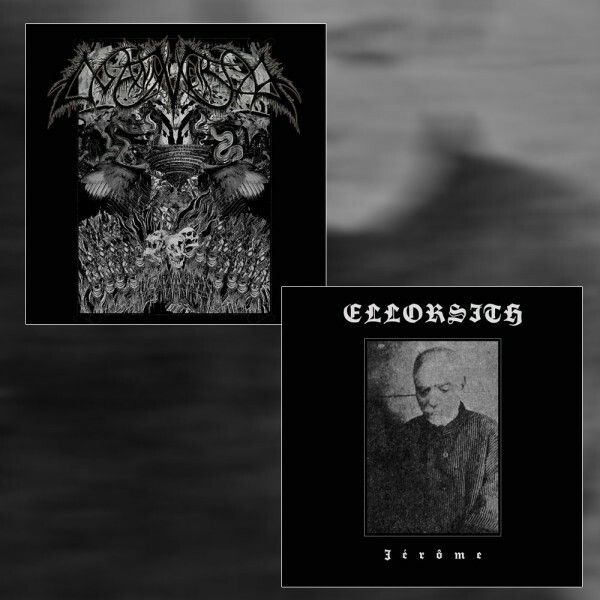 Ellorsith's last release, 1959 (released on vinyl through Dark Descent), was inspired by the Dyatlov Pass Incident. This time, Ellorsith draws their flame from Jerome of Sandy Cove. Don't miss the split LP of the year! NOTE: The image attached here only is intended to show both sides of the split jacket and isn't representative of how the cover looks. Each image will be full-size on each side of the jacket.